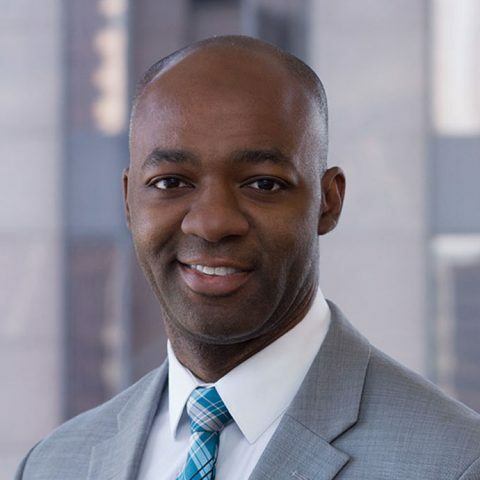 Damion Heron is a Vice President within JPMorgan Chase’s Office of Nonprofit Engagement. He manages relationships working with nonprofits focused primarily on consumer advocacy, capacity building, civil rights, research, and those aligned with the foundation’s priority areas of workforce development, financial capability, small business, and community development. Prior to JPMorgan Chase, he held roles as a corporate giving analyst with the Boeing Company, a Harris Graduate Fellow at the Chicago Office of Emergency Management and Communications and a parliamentary assistant in the U.K. House of Commons. Damion holds B.A degrees in Political Science and Philosophy from Bradley University and a Master of Public Policy degree from the University of Chicago. Damion was a 2015 Edgar Fellow and a member of the 2018 class of Leadership Greater Chicago.